Contractors, construction trade workers and suppliers can sue for payment. Under Texas business law, the state legislature provides a device, called the mechanic’s and materialman’s lien (M&M Lien), to protect those who furnish labor or materials to improve real property. Please do not cost yourself substantial losses by filing an M&M Lien by yourself to save attorney fees. An M&M lien is “statutory” (a very specific provision of Texas business law). Careful adherence to detailed requirements is a must. The law is strictly construed, so it is vital to follow the requirements laid down by the state legislature. Failure to “perfect” your M&M Lien filing can result in the judge ruling that an M&M Lien is wrongful, setting it aside, and as claimant, you may have to pay the other party’s attorney fees, adding insult to injury. If you think you are in a situation that calls for an M&M Lien, contact A. Lewis Ward & Associates at (713) 961-5555 or email today. The primary requirement to obtain an M&M lien is to file an affidavit with the appropriate county clerk before the indicated deadline. The contents of the affidavit must comply with statutory dictates, the claimant’s signature must be acknowledged, and a copy of the document must be served in the correct manner. Some claimants may be required to serve a notice of balance not paid to the appropriate party to perfect their claim. 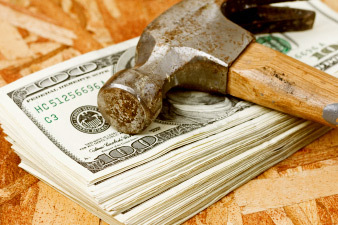 another rule may apply if the general contractor of a project is not the one filing the claim. Not knowing these exact legal details can nullify your claim and subject you to liability. A. Lewis Ward has filed many M&M lien claims and can help you reclaim your money. For strategic, knowledgeable, and honest legal advice, contact A. Lewis Ward & Associates at (713) 961-5555 or email today.